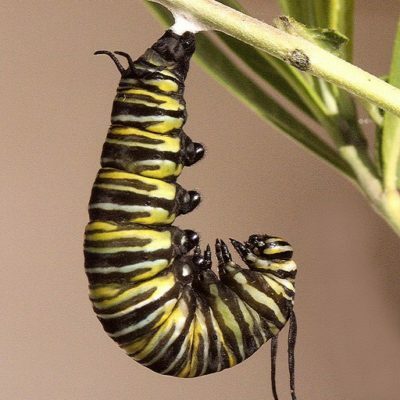 There is a lot of conversation around “emerging” translators—and a lot of jokes made about cocoons and metamorphosis. But the fact is that the practice of literary translation is a lonely pursuit, and the mechanisms of the publishing business are often dauntingly obscure to the uninitiated. So though the term may be hard to define and might evoke butterflies as much as it does devotees of international literature, it can be very useful to have systems of support available for us fledglings. I produced my translation of Patrick Goujon’s novel À l’arrache, excerpted in Two Lines 29, through the American Literary Translators Association’s Emerging Translator Mentorship Program. I had chosen to work on the book after meeting Goujon on my semester abroad in 2014, and had typed up a few sample pages, but had no idea how to get the text from my own laptop into the hands of readers. The legalities of obtaining rights, the intricacies of the submissions process, and my total lack of a C.V. all felt like major obstacles—that on top of the actual work of translating the novel’s rich language, complex structure, and various linguistic registers. ALTA paired me with a mentor, the translator and professor Emmanuelle Ertel, whose work includes the French edition of Hanya Yanagihara’s A Little Life. In addition to her insightful edits and notes on the level of language, she was also a guide when it came to navigating all of the steps in the process, from inquiring about rights to selecting samples and brainstorming outlets where the book might be a good fit. Just as revelatory was ALTA’s annual conference. I attended in 2016 as part of the mentorship program, and gave a reading from my project along with the other “mentees.” The community was warm and welcoming beyond anything I’d anticipated. I kept in touch with many of the translators, editors, publishers, and scholars I met there, was glad to reconnect at the following year’s conference, and am always excited to run into them at readings and book fairs. If I were to give one piece of advice to other “emerging” translators trying to spread their wings, it would be to reach out and find other people who are already doing it. There are also great resources online such as the Emerging Literary Translators Network in America (ELTNA) email listserv, PEN America’s translator resources page, and Susan Bernofsky’s “Translationista” blog. Find a mentor, if you can. Ask for help. Make friends. Translation, at every level, is hard; it helps to have support. Read Noah M. Mintz’s first published translation in Two Lines 29—out now!